While it’s true that laptops are designed to handle the dificulties of travel, that doesn’t mean that they are impervious to damage. 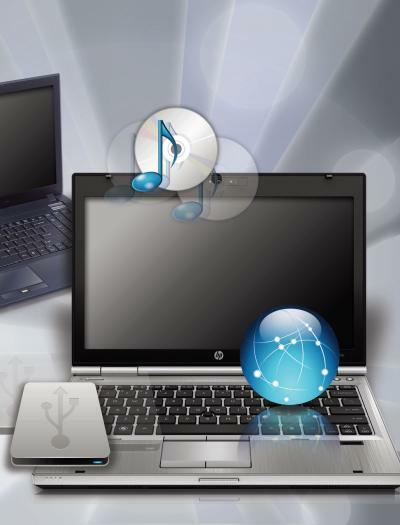 Dust, heat, and bumps are all dangers that can reduce the useful lifespan of your laptop. Here, we’ll cover some common laptop maintenance tips that you can perform. Ensure that your laptop vents are free of dust. 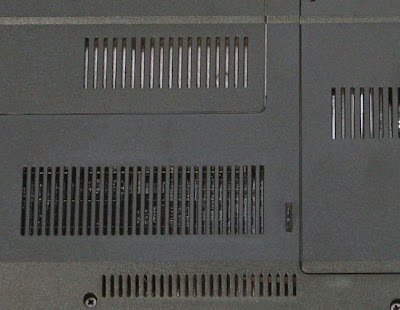 Laptops typically have fan vents on the sides and back of the case, which is where the laptop pushes out the heat generated by the processor and other components. 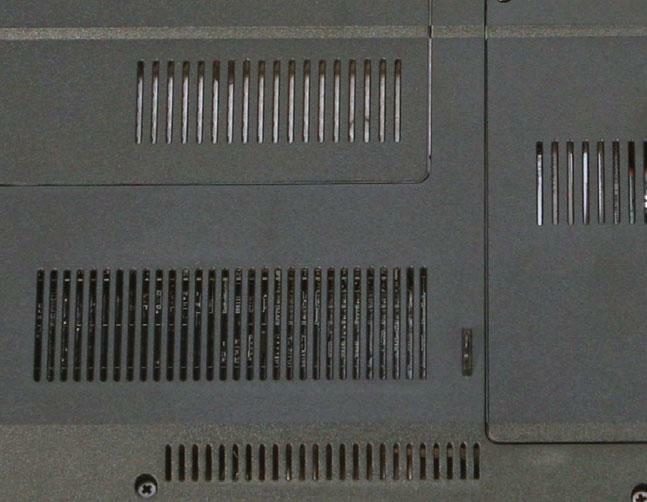 Over time, dust can build up in the vents and trap some of the heat inside the case. That heat can increase the temperature of all of components inside the case and may cause some parts to overheat and either fail or behave erratically. At the very least, the excess heat will keep the hardware from working at its peak. You can use a can of compressed air to blow the dust out of the vents. A can of compressed air can help to remove dirt from the keyboard. Another entry point for dust and debris is the keyboard. 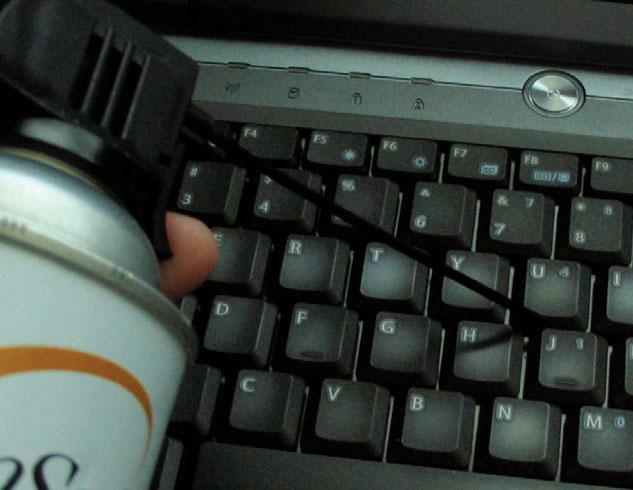 Similar to the vents, you’ll want to use a can of compressed air to blow any dirt out from under the keyboard. When using the can of compressed air, it’s best to turn the keyboard upside down, so that the debris has someplace to fall. Try to do this over a surface you can easily clean after the dust and dirt has fallen out. If you managed to spill something sticky onto the surface of the keys, dip a cotton swap in isopropyl alcohol and use the cotton swap to clean the sticky substance off the side and tops of the keys. Heat AvoidanceWhile we’ve noted that internal heat is a threat to your laptop, you’ll also want to watch out for placing your laptop in locations where the entire laptop will be exposed to prolonged external heat. Avoid leaving your laptop in a hot car, placing it in direct sunlight for several hours, or placing it next to a heater or radiator. You'll want a micro fiber cloth to clean your monitor. The LCD screens found on laptops and monitors require a speciic cleaning solution to create a streak free look. Modern cleaning agents contain ammonia that can damage the display panel. Invest in a monitor cleaning spray and a micro iber cloth to wipe down the screen. Spray the monitor cleaner onto the micro iber cloth and wipe down the screen. Don’t spray the monitor cleaning solution directly onto the screen, because it can streak down and leave a mark. Many wireless mice come with a tiny USB receiver that you can leave plugged into the unit. If you leave any USB devices in the ports, be sure to avoid knocking them out when you place the laptop in your travel bag, because the rough removal may damage the ports or the laptop’s motherboard. Similarly, you’ll want to avoid damage to the laptop’s power socket by ensuring that the power cord isn’t positioned in a location where someone may trip on it and forcefully pull the power cord out. Once you’ve addressed the internal parts, you can clean the exterior of the case. Use a damp cloth to wipe down the exterior and remove any dirt that has accumulated. If there are slight scratches along the exterior, you can try to buff out the scratch with the damp cloth. You may also want to open the lid and wipe down the areas around the keyboard to remove dust. Clean the laptop every other month and you should avoid the accumulation of debris that could ultimately injure the system.